Finally managed to watch Fresh Horses. 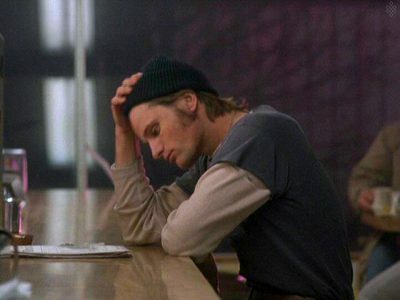 Okay, it’s not a great movie, but I thoroughly enjoyed Viggo’s two appearances in it. Call me crazy if you want, but I think that the 11-second sequence where he comes into the diner, sits down and takes off his cap is sweetly graceful, even poignant. You can judge for yourself. Posted five video clips, ten new screencaps of that diner sequence, and a spoiler movie review, all on the Fresh Horses movie page. Happy Thanksgiving!